The moment of truth at Oscar nominations came at about 5:45 a.m. Pacific Standard Time, when Andy Serkis and Tiffany Haddish read off the nominees chosen by the Academy’s stubborn, opinionated Directors Branch, which loves to confuse people who think they know the Oscars. 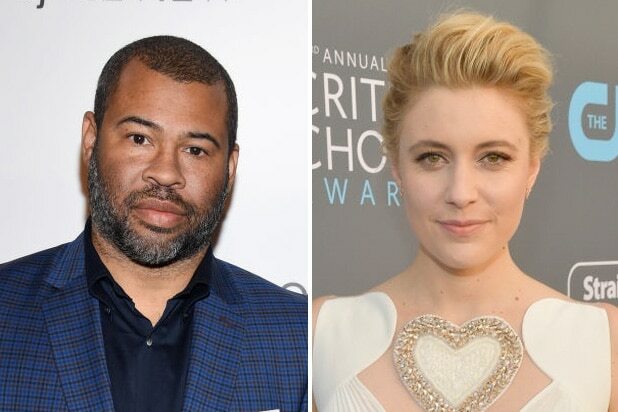 And in a year that finds Hollywood grappling with the opportunities long denied to women and to minorities, the directors included both a woman, Greta Gerwig (“Lady Bird”), and a black man, Jordan Peele (“Get Out”), in its list of five nominees. She was only the fifth woman nominated for directing in the 90-year history of the Oscars; he was only the fifth black man. 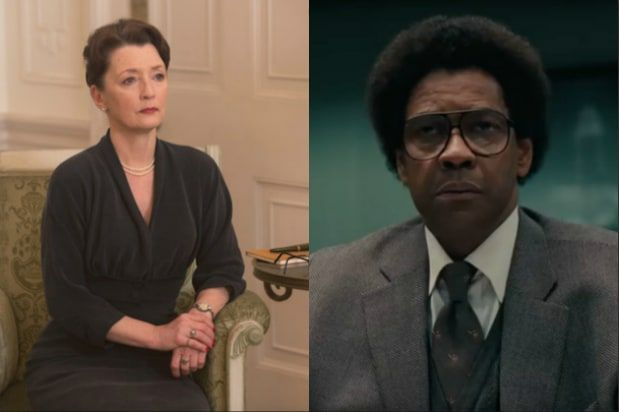 It wasn’t the first time the Directors Branch had nominated a woman and a black man in the same year — the 2009 nominees included Kathryn Bigelow, who won, and “Precious” filmmaker Lee Daniels — but in the current climate, it felt huge, just as it had when the Directors Guild had nominated both Gerwig and Peele on January 11. In the year that saw the rise of #TimesUp and could have tilted toward a replay of #OscarsSoWhite, the choice made by the Academy’s directors was a huge statement at a time when, like it or not, the Oscar nominations needed to make a statement. This year was never going to be just a matter of tallying up the nominations and figuring out front runners. On the heels of the Academy’s concerted campaign to become more diverse and in the aftermath of the movement that swept Hollywood and the country in the wake of accusations against Harvey Weinstein and then many others, the big question was what message the 7,000-plus Academy voters were going to send about gender and race, diversity and inclusion. It’s not fair to saddle a batch of movie awards with that kind of import — but at a time of crisis, it’s unavoidable. So the success of “Get Out” and “Mudbound” were going to deliver a verdict on how accepting the Academy is of black filmmakers (never mind that resistance to the latter film likely had more to do with anti-Netflix bias than racial issues). And a year after the surprise Best Picture win for “Moonlight,” the Academy’s continued acceptance of LGBT themes was going to depend on whether or not voters included “Call Me by Your Name” in the Best Picture field. That’s too much baggage to put on those three movies, to be sure. But symbolism mattered enormously this year, and the Academy sent an inclusive message not only with the directing nominations, but by putting Octavia Spencer, Mary J. Blige, Denzel Washington and Daniel Kaluuya in the acting races, getting a 20 percent nonwhite representation in categories that could have looked much whiter than that. Given the field of movies they had to work with, that was probably enough to avoid embarrassment. Other notable nominations: the cinematography nod for Rachel Morrison for “Mudbound,” making her the first woman ever nominated in the category; the Best Foreign Language Film recognition of “On Body and Soul” from Hungary’s Ildikó Enyedi, the only female director with a film on the shortlist; and the documentary-feature nod for “Strong Island” director Yance Ford, a transgender man. Of course, the other side of the Oscar nominations are all about counting up the nominations and figuring out the frontrunners — and on that count, “The Shape of Water” did everything it needed to do and then some. Guillermo del Toro’s rapturous fantasy land by far the most nominations, 13, to eight for the runner-up, Christopher Nolan’s “Dunkirk.” It landed slots in all of the categories thought to be essential for a true Best Picture contender: director, screenplay, cinematography and film editing. And more to the point, the films that are thought to be its main competitors all fell short in some of those areas. “Lady Bird” landed five nominations and “Get Out” got four, but they were bypassed in cinematography and, crucially, in film editing. Even more damaging, “Three Billboards Outside Ebbing, Missouri” writer-director Martin McDonagh was left out in the director race. If Peele or Gerwig had been overlooked in that category, you could see the omission becoming the launching pad for a campaign that could push the film itself into the winner’s circle, the same way that the Directors Branch’s failure to nominate Ben Affleck for “Argo” helped engender sympathy and might have actually helped his film win Best Picture. But McDonagh and his tough, divisive black comedy are hardly ripe for a sympathy vote — which means that even though his film won the SAG ensemble award on Sunday, its chances of winning Best Picture have now taken a serious hit. So all signs now point to “The Shape of Water,” albeit in the same way that all signs were pointing to “La La Land” last year. A race that has been interesting and unsettled since it kicked off in September is going to remain that way a while longer. Meanwhile, an awards show that will inevitably become a flashpoint for various controversies took a big step toward staving off at least some of those potential controversies — and it did so with a decent number of nominees of color, with Rachel Morrison and Yance Ford and Ildikó Enyedi, and with the choices of the often-confounding Directors Branch. It might be pathetic that only five women and five black men have been nominated for Oscars for directing, but that’s one more than last year on both counts. It feels, in a small but real way, like progress. And at this stage in our history and this point in our country and our culture, we take victories wherever we can find them — even in early-morning wake-up calls from Hollywood. Every year at the Academy Awards, there are inevitably certain nominees that raise eyebrows in surprise and glaring omissions that furrow those eyebrows in anger. 2018 was no different. Here are some of this year's snubs and surprises. SURPRISE: Denzel Washington for "Roman J. Israel, Esq. ": Washington's portrayal of a lawyer caught in a moral quagmire left critics lukewarm and didn't make much of an impact at the box office, yet it has earned the beloved actor his ninth Oscar nomination and sixth in the Best Actor category. SNUB: Tom Hanks for "The Post": Many awards prognosticators expected that the Best Actor slot taken by Denzel would have gone to Tom Hanks for his portrayal of Washington Post editor Ben Bradlee. Instead, Jason Robards' performance in "All The President's Men" remains the only Ben Bradlee to get an Oscar nod. SURPRISE: Lesley Manville for "Phantom Thread": Daniel Day Lewis got much of the press for "Phantom Thread," but Manville has earned some attention for her performance as Reynolds Woodcock's devoted sister and business partner, who spends the whole film putting up with Reynolds obsessive nonsense. SNUB: Holly Hunter for "The Big Sick": Kumail Nanjiani's true-story dramedy earned a screenplay nomination, but Hunter, who was considered an early contender for Best Supporting Actress last summer for her performance as Kumail's tough but loving future mother-in-law, ended up sliding out of the final list. SNUB: Steven Spielberg for "The Post": With its paean to journalism and not-so-subtle tweak at Donald Trump, it was expected that Academy voters would go ga-ga over "The Post." Instead, it's getting the "Selma" treatment, earning a Best Picture nomination but only getting one other nom for Meryl Streep while Spielberg misses out on an eighth Oscar nomination. SURPRISE: "Abacus: Small Enough to Jail" for Best Documentary Feature: PBS will get a surprise nomination for their powerful recounting about how a small, family-owned bank in New York's Chinatown became the only bank prosecuted by the feds in the wake of the 2008 recession. SNUB: "City of Ghosts" for Best Documentary Feature: Docs about the ongoing Syria crisis have been fertile ground for award winning docs like "Last Men In Aleppo" and last year's Best Short Doc winner, "The White Helmets." But the Academy didn't go for this horrifying but moving tale about Raqqa Is Being Slaughtered Silently, a team of citizen journalists reporting the abuses of ISIS at the risk of their own lives. Who got robbed at the Oscars this year?